fluid repellent, anti-microbial, flame resistant and stain/ tear resistant. We offer all types of reusable covers for carts and shelving units in nearly any size for medical, industrial and other applications. 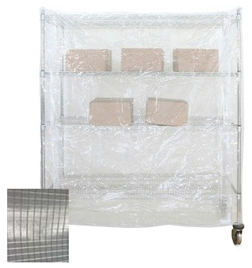 Our medical - hospital cart covers and shelving unit covers help to protect items from dust and contaminates, conceal contents and discourage unauthorized personnel from tampering with your stored linens, equipment or supplies. These covers are commonly used as linen cart covers, supply cart covers, surgery cart covers, equipment cart covers, ESD cart covers and Dietary Services cart covers. We show some of the most common sizes below. But we can provide you with nearly any custom size cover to suit your specific needs, large, small or in-betwen to cover medical devices, equipment, linen or supplies. dissipative inner surface. A front flap is included. A back flap and other options are also available. These cart covers and shelving unit covers are compatible with Intermetro, Metro, IRSG and other types of wire shelving & carts. 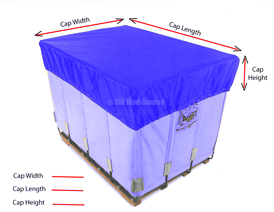 Just follow these simple steps to order your quality cart cover. 1) Select your cover material - from the above choices. Note: Due to variation in monitor displays, actual colors may vary. 3) Accurately measure the outer dimensions of your cart frame. See illustration below. 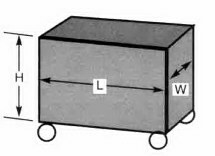 When ordering covers, measure the width, length and height of the unit excluding casters. don't see the correct size below, then please contact us for a quote on a custom size. order. If you have push handles at one end, show the distances of the handles from the bumper. Even if your cart size is not shown below, it doesn't matter because we can make any size cover. It won't add to the cost or delivery time. Then just call us for a quotation or to to place your order. with your specified size and color and are non-returnable. Quantity discounts apply for 10 or more. Call us for quotation. This is a top quality, high density, heavy duty, coated water resistant Nylon cover. It has reinforced corners and double needle construction. About 1½" is added to the width and length to allow for a comfortable fit. Please note: Just tell us what size cover you want. We can make any size cover. It doesn't add to the cost or the delivery time. 18" x 48" x 54"
18" x 60" x 63"
21" x 60" x 54"
21" x 60" x 63"
21" x 60" x 74"
24" x 36" x 86"
24" x 60" x 54"
24" x 60" x 63"
24" x 72" x 63"
24" x 72" x 74"
Is your cart size not shown above? and other requirements. We will then provide you with a quotation. Clear Vinyl Full Front Window Flap for viewing stored items - for an average size cover. Inside Bottom Corner Ties for securing cover to cart posts. Top Shelf Cover Flap is for those who want to place more supplies on the top shelf of a square cart, on top of the existing cover. The extra flap that is sewn onto top of existing cover to allow you to cover those extra items. Specific size is needed. Push Handle Holes: First, specify the location of the handles. Measure the top corner of the cart to the top of the handle. Then measure from the bottom of the handle to the bottom of the cart. (not including casters) Finally measure the width of the handle thickness. A sketch from you would be helpful. Pocket/ Document Holder with Flap, 18" x 12". Specify placement of pocket when ordering. Pocket/ Document Holder, transparent, no flap, 9" x 12". Specify placement when ordering. Snap Button Closure in lieu of velcro or zipper. Pricing depends upon number of snaps required. Post Holes, 1¼", reinforced for overhead track system. HS Silkscreening or Hot Stamping for company logos, company or department name, etc. Art, set-up fees, materials and labor vary depending upon the logo but costs are very reasonable. Uncoated Nylon: A thinner #200 Denier Uncoated Nylon cover material is recommended if you want to wash your cover in a washing machine. This material will allow for fluids to flow through the threaded fibers. Whereas a coated fabric may be damaged in a washing machine. See Nylon Care Instructions below for additional information. This material is available in a variety of colors. colors are subject to surcharge and are not light fast. Market requirements dictate color selection and may change periodically. DAF CoverFab® and Be-Chek® (Staph Chek®) are the materials most often used by hospitals as linen cart covers. All covers are custom, made to order with your specified size, material and color and non-returnable. All-Clear Vinyl, Reinforced 12 mil. thick cover w/ front flap and Velcro® closures. Be-Chek® All-Clear Vinyl (aka Staph-Chek®) cover material is fluid repellent, marine grade, mildew resistant, bacteria resistant, anti-microbial and UV Stabilized. It is also self-deodorizing, non-allergenic and anti-static. Allows for east viewing. But it must be treated delicately since it is not reinforced. to allow for a comfortable fit. click to enlarge All-Clear Vinyl, Reinforced 12 mil. thick cover with front flap and Zipper closures. Allows for easy viewing of cart's contents. Approx. 1½" is added to the width and length to allow for a comfortable fit. Note: Both nylon and vinyl cover materials are commonly used as hospital linen cart covers. All covers are custom, made to order with your specified size and color and are non-returnable. Reinforced Semi-Clear Vinyl Cover with front flap, 1/8" scrim reinforced threaded polyester scrim mesh material with Velcro® closures. This cover is more heavy-duty but not quite as transparent as the 1/4" mesh material shown below. This cover is marine grade, mildew resistant, anti-fungal, anti-static, non allergenic, self-deodorizing, fire resistant and easy to maintain. About 1½" is added to the width and length to allow for a comfortable fit. Reinforced Semi-Clear Vinyl Cover with front flap, 1/8" scrim reinforced/ threaded polyester mesh material with Zipper closures. Durable Semi-Clear Vinyl Cover with front flap, 1/4" reinforced threaded polyester scrim mesh material with Velcro closures. This cover is more transparent but not quite as heavy-duty as the 1/8" mesh material shown above. Durable Semi-Clear Vinyl Cover with front flap, 1/4" reinforced threaded polyester scrim mesh material with Zipper closures. Be-Chek® Vinyl, Reinforced 13 mil. thick with front flap and Velcro® closures. This strong/ durable vinyl material is anti-microbial, anti-fungal, mildew and flame resistant, stain/ tear resistant, anti-static, odor resistant, fluid repellent and easy to maintain. Be-Chek® Vinyl, Reinforced 13 mil. thick, with front flap and Zipper closures. Choice # 6: ESD Vinyl Cart Cover for Electrical Equipment Storage. equipment or covered equipment from interfering with other nearby equipment. ESD Vinyl Cart Cover with front flap and Velcro® closures. Our ESD Cart and Shelving Covers provide an effective method of controlling electrostatic discharge while protecting cart contents from contamination and moisture. Fabric is fluid repellent, anti-microbial, flame resistant, stain/ tear resistant, electrically conductive, hypoallergenic, self-deodorizing and easy to maintain. Includes a Black matte exterior with a Dark Green or Tan Inner Liner. 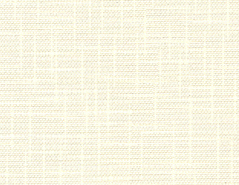 Cover material is .013 mil thick, Taffeta-embossed, 10.5 oz / sq yd PVC with 9 x 9 polyester reinforcing scrim. This PVC fabric is backed with an electrically conductive carbon film. Surface resistance is 5x103 Ohms. Includes 1 ea. transparent 9" x 12" document holder. This cover is flame resistant, soft hand, anti-bacterial and mildew resistant. About 1½" is added to the width and length to allow for a comfortable fit. Clean with mild soap or detergent and warm water or approved ESD vinyl cleaner. ESD Vinyl Cover with front flap and Brass Zipper closures. Our ESD Cart and Shelving Covers provide an effective method of controlling electrostatic discharge while protecting cart contents from contamination and moisture. Includes a Black matte exterior with a Dark Green backing. 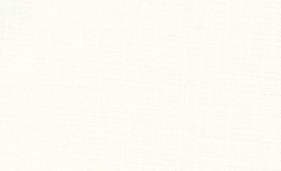 Cover material is .013 mil thick, Taffeta-embossed, 10.5 oz / sq yd PVC with 9 x 9 polyester reinforcing scrim. This PVC fabric is backed with an electrically conductive carbon film. Surface resistance is 5x103 Ohms. Please note: We can make any size cover. It doesn't add to the cost or the delivery time. Quantity discounts are available. Pocket/ Document Holder, transparent, no flap, 9" x 12". Specify placement of pocket when ordering. HS Silkscreening or Hot Stamping for company logos, department name, static warning labels, etc. Art, set-up fees, materials and labor vary depending upon the logo but costs are very reasonable. Note: All covers are custom, made to order with your specified size and color and are non-returnable. This slip cover style cover is designed to be used with Lakeside and other brand carts. This cover is Urethane coated, fluid repellent, flame retardant and machine washable. There are no cut-outs for the handle. Although this cover can be customized to fit your particular requirements. Note: Covers are available in a variety of materials with handle cut-outs, colors, flaps and closures. Click Here to choose the exact cart cover you need. Just fill in the blanks on one of these forms and email or fax it to us for a quote. These covers are designed for Lakeside and other brands of utility carts. Choose from the Lakeside slip cover style or covers with flaps and Velcro or zipper closures.. Note: Covers are available in a variety of materials with handle cut-outs, colors, flaps and closures..
200 Denier Nylon Covers are Urethane coated, fluid repellent and, flame retardant and machine washable. A Thicker 400 Denier Nylon Material is also available. But this material is not really machine washable. The color may fade and the material may shrink. 17½" x 27" x 31"
Click Here to view other choices. Note: Covers with other cover materials, handle cut-outs, colors & flaps are available. 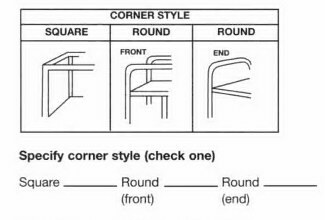 20" x 30" x 31"
22" x 36" x 35"
22¼" x 36 3/8" x 40"
22¼" x 51 3/8" x 40" CT-22.25-51.5-40 470, 471 $154 22¼" x 51 3/8" x 40"
22 3/8" x 54 5/8" x 31" CT-22.5-54.5-31 459, 758, 759 $154 22 3/8" x 54 5/8" x 31"
22" x 36" x 35" CT-2236-35 243, 244, 492, 493, 499 $154 22" x 36" x 35"
19 3/8" x 32 5/8" x 29" CT-19.5-32.5-29 721, 722,725, 726 $154 19 3/8" x 32 5/8" x 29"
16 1/2" x 28" x 39" CT-16.5-28-39-PHH 6600, 6800 $183 16 1/2" x 28" x 39"
19" x 31 1/8" x 39"
22" x 39 1/8" x 39"
Note: Covers with other cover materials, handle cut-outs, colors & flaps are available..
22" x 53 1/8 x 39"
any size of cap cover. 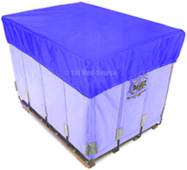 These Soft Laundry Cart Covers will accommodate both poly, basket and bushel trucks. Available with or without elastic for the same price. Please specify your preference when ordering. 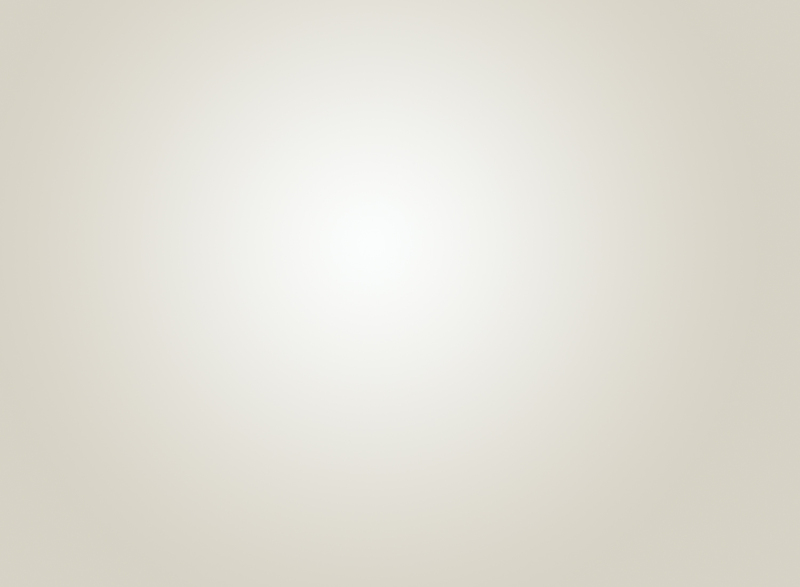 They are available in 200 Denier Nylon, 400 Denier Nylon and Be-Chek Vinyl. See color choices shown below. Specific size covers are shown below. Although we can provide you with any size cover. Just tell us what cap cover size, material and color you want. The #200 Denier Uncoated Nylon cover material is recommended if you want to wash your cover in a washing machine. This material will allow for fluids to flow through the threaded fibers. Whereas a coated fabric may be damaged in a washing machine. The #400 Denier Nylon is a top quality, high density, heavy duty, coated water resistant material. The Be-Chek Vinyl is a strong/ durable vinyl material. It is anti-microbial, anti-fungal, mildew and flame resistant, stain/ tear resistant, anti-static, odor resistant, fluid repellent and easy to maintain. Provides both easy access and removal. Durable construction means long life. * Note: Minimum Order is 2 assorted cap covers. Delivery time for the above items: Approx. 3 - 4 weeks. *Quantity discounts for 5 or more are available. Available in Dark Grey as shown. Elastic Soft Covers will accommodate both poly and bushel trucks. These R&B Wire covers will accommodate their brand and other brands of poly, basket and bushel trucks. Available in the Dark Grey color as shown in the photo. Specific size truck covers are shown below. The flame retardant vinyl/ nylon laminate has an elastic shock corded rim to ensure that the cover fits snugly. Dimensions: 6 Bushel Truck: 15" x 25"; 8 Bushel Truck: 16" x 28"
Delivery time for the above items: Approx. 1 - 2 weeks. Note: Delivery time for the above items: Approx. 2 weeks. Other sizes and colors are available in approx. 3 - 4 weeks. 200 Denier Urethane Coated Nylon; flame retardant, extremely durable. Cover cap seams are double sewn for maximum strength. All covers have a shock corded rim to ensure a snug fit. Note: Delivery time for the above items: Approx. 2 weeks. Other sizes and colors are available in approx. 3 - 4 weeks. Do you need more carts? We offer all types of carts at discounted prices. supply and equipment carts at discounted prices. Click here to see our many choices. Please note: We do not ship to residential addresses. Copyright 2005 - 2018, SW Med-Source Inc., All Rights Reserved, Opt. 03/18.